2. 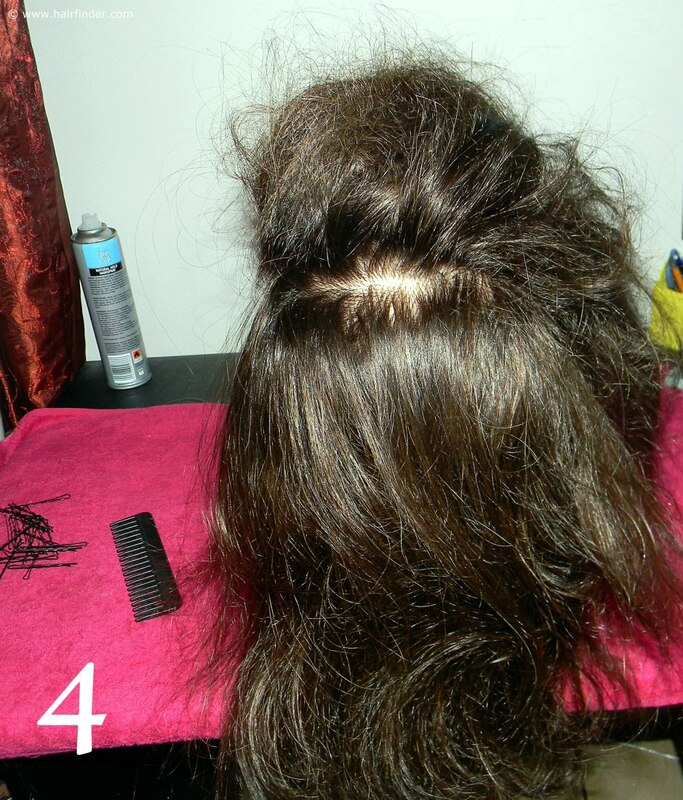 Comb all the hair to the back of the model’s head to get rid of any knots and tangles. 3. 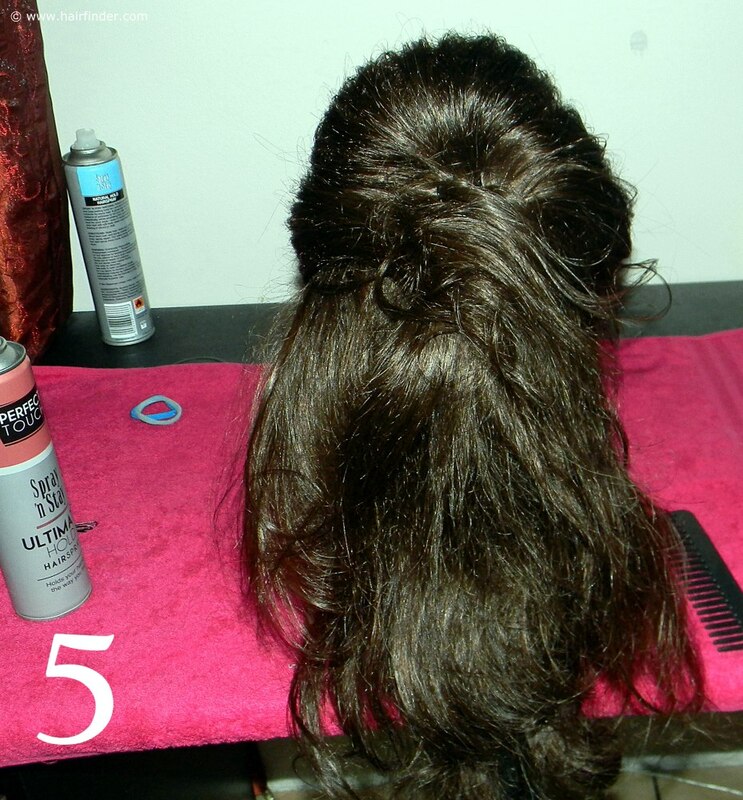 Draw out a section at the top of the model’s head with you tail-comb. This will be the volume-bubble in the occipital bone area. See that the area is a square shaped form, spanning from side-temple to side-temple and to the rounding of the occipital bone. It’s important that you make sure that you have enough hair to work with. Keep the fringe area separate and secured with a clip. We’ll be working with the fringe towards the end of the style. 4. Tease the hair in this area with your tease-comb. It’s important that you create enough volume in this region to be able to complete the top area of the high volume ponytail. 5. 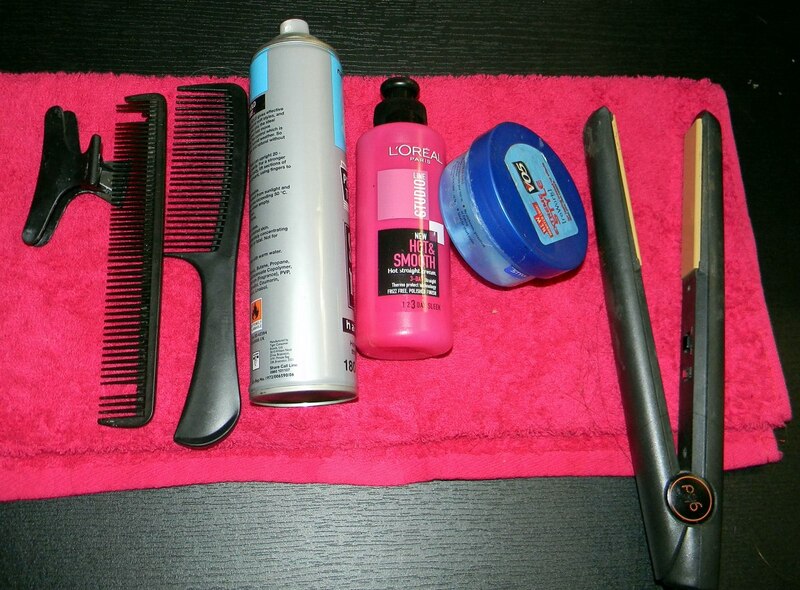 Once you have teased the hair high enough, gently comb the surface hair over the back-combed hair to create the bubble. The surface of your bubble does not have to be perfect in this case, as this style is slightly messy, although not overly so. Once you’re satisfied with the form and structure of the bubble, you can secure it with bobby-pins. Remember to use black or brown pins for darker hair, and golden pins for blonde hair. 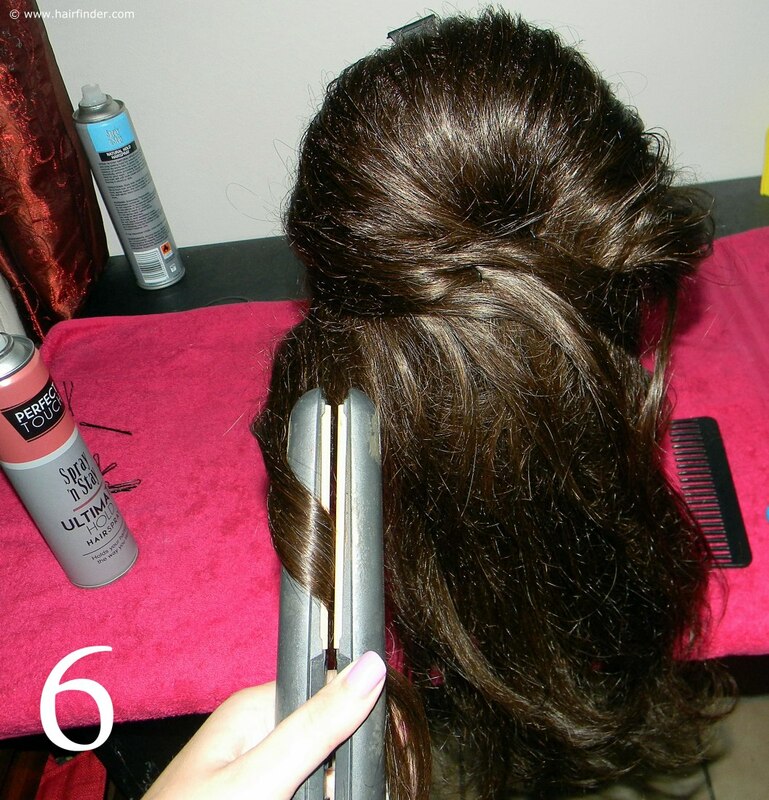 Spray the hair with hair spray to reinforce its structure. 6. Spray the hair that is hanging down with a heat-protection product. 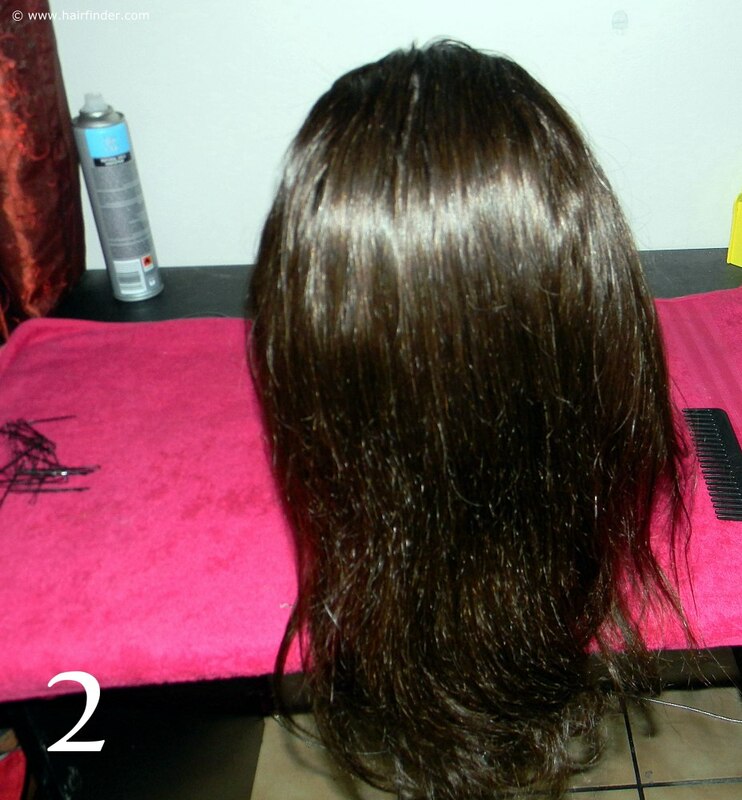 Use your flat-iron or curling tong to create curls. 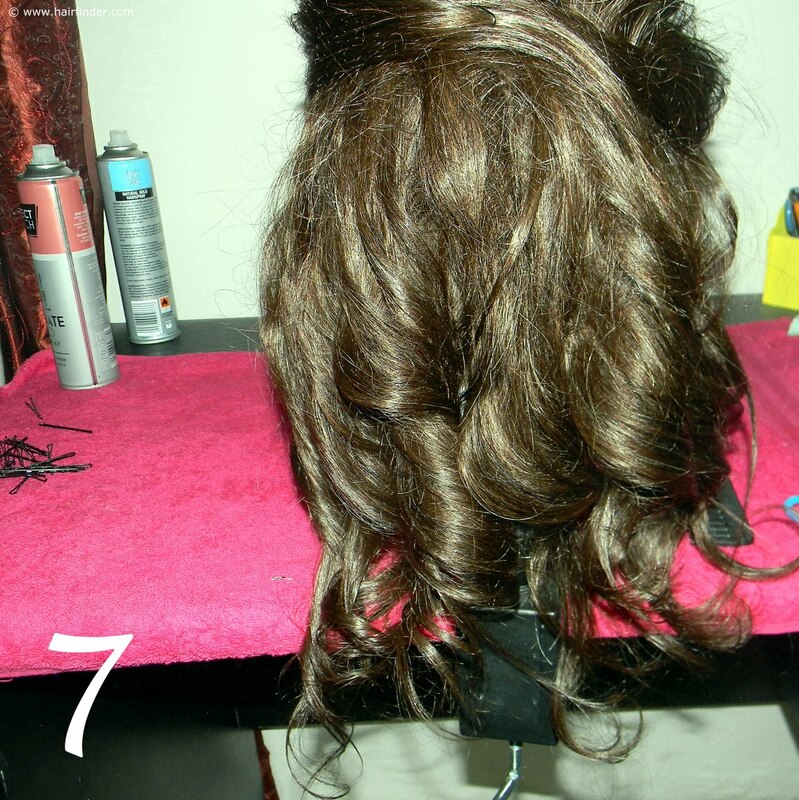 These curls only have to be formed from mid-lengths to ends, and they needn’t be perfect. 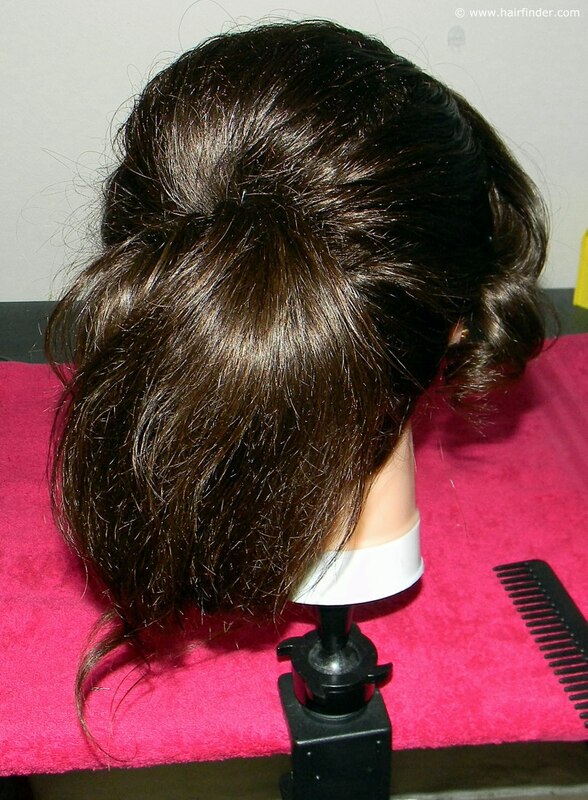 The reason for these curls is merely to add body and an element of uniformity to the hair once the ponytail is formed. You will be combing the curls out again. Spray the curls with a medium or strong hold hairspray to preserve the volume. 7. Note that the curls are quite relaxed and not at all uniform. All the hair is curled from the nape of the neck all the way to the occipital bone. The curls are large and loose, almost like beach-curls. Comb these curls out quite extensively until the hair is only uniformly wavy. 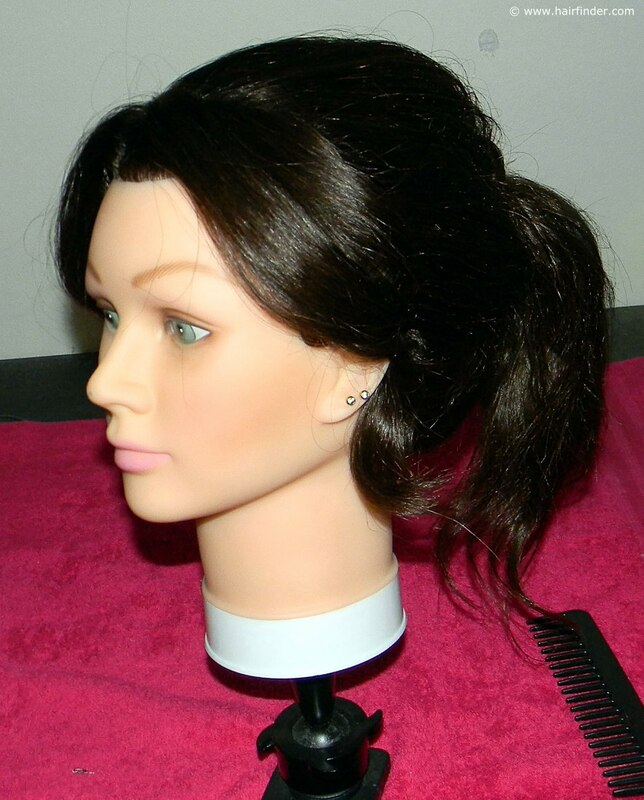 Remember that the ponytail of this style sports waves, and not curls. It is quite a laid-back style with a touch of understated glam.